Verizon and Motorola are sure taking all the steps necessary to prepare for the big announcement of their two new Droid’s next Wednesday. 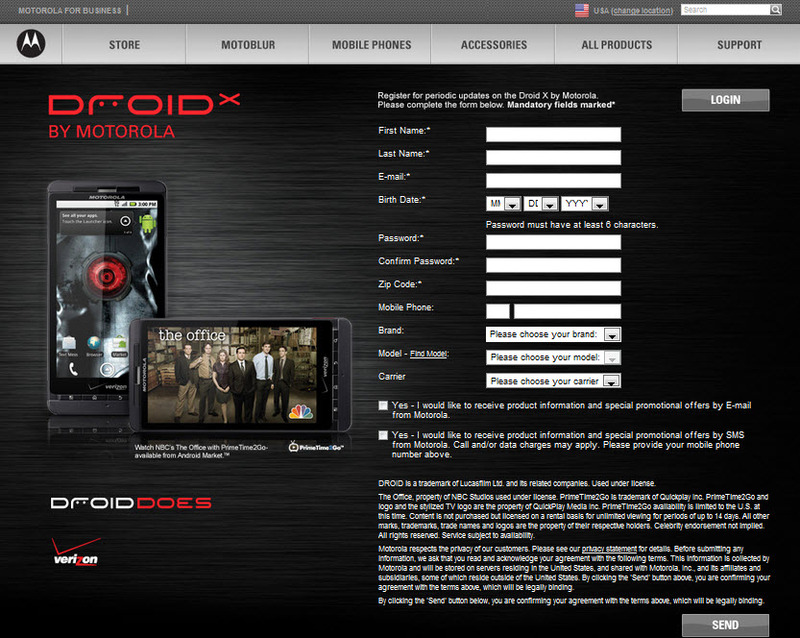 The latest, a dedicated page for the Droid X at Motorola’s website. This is also our first official look at the new Motoblur 2.0 which for whatever reason includes the Froyo Tip widget, but apparently is only running Android 2.1. Can’t wait to find out the real goodies on Wednesday. Oh, we also get another shot of the Droid X’s red eye.